DEVCON is a Microsoft tool that allows "device management" from the command line. It is available for free as part of the Windows Driver Kit (a.k.a. WDK). Unfortunately, it is no longer available as a separate download from Microsoft's websites. More detailed information and command line examples can be found at Microsoft TechNet. I dedicated this page to DEVCON because I became impressed by its possibilities. It even allowed me to write scripts to backup drivers without having to search all INF files "manually". This had been on my wish list for a long time. Another great feature is DEVCON's built-in Reboot command. Type DEVCON help command on the command line for detailed help on command or click a command in the table above to view its help page. The table below lists some of my scripts based on DEVCON, along with the basic command line switches they use. DriverFiles "@hwid" 2004-01-10 The batch, KiXtart and Perl versions can also backup inactive drivers. The batch and KiXtart versions are much slower. The batch, KiXtart and Rexx versions will prompt you to download DEVCON itself or RexxUtill (Rexx only) if missing. The Perl version creates a log file that may help in restores, and an error log, if applicable. BkMdmDrv.rex Backup Windows 2000 modem drivers DriverFiles =Modem 2003-12-27 These scripts will prompt you for download if DEVCON isn't found. ExpPrnDr.bat Export Printer Drivers DriverFiles =Printer 2009-12-16 This script will prompt you for download if DEVCON isn't found. HardDisk.bat List harddisks, their interfaces and revision numbers for any computer on the network Find =DiskDrive 2005-01-15 This script will prompt you for download if DEVCON isn't found. Modems.bat List all modems and the resources they use Resources =Modem 2003-12-23 This script will prompt you for download if DEVCON isn't found. Rescan 2017-01-16 Warning: May cripple your OS, use entirely at your own risk, and only after making a full backup. I had to run this script twice before my computer accepted my new USB stick. This script will prompt you for download if DEVCON isn't found. Remove "@hwid" 2017-01-16 Warning: May cripple your OS, use entirely at your own risk, and only after making a full backup. Remove "@hwid" 2006-11-10 Warning: May cripple your OS, use entirely at your own risk, and only after making a full backup. ShowPRN.bat List all printers and their printer ports FindAll =Printer 2004-01-17 These scripts will prompt you for download if DEVCON isn't found. DEVCON Classes List all available classes; may come in handy if you want to start writing your own DEVCON batch files. DEVCON DriverFiles =USB List drivers for all USB devices. DEVCON Findall =USB List USB devices, even the ones that aren't currently connected (without the drivers, though). DEVCON Reboot Reboot the computer. DEVCON Status =Image List status of all active imaging devices.
) DO DEVCON Status "@%%A" | FIND " " List status of all imaging devices, including inactive ones. Nir Sofer's USBDeview allows you to view all installed/connected USB devices on your system. To eject PnP hardware devices use C'T's DevEject. This powerful tool can eject devices by their description, device ID or drive letter. 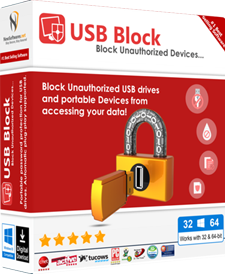 Prevent theft and data leakage of your important files, documents and source codes from devices like USB Drives, CD/DVD and network computers. 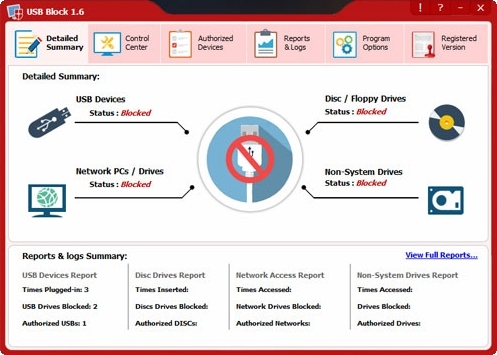 You can white-list your own USB drives and devices. Whenever an unauthorized device is detected, a password prompt comes up.